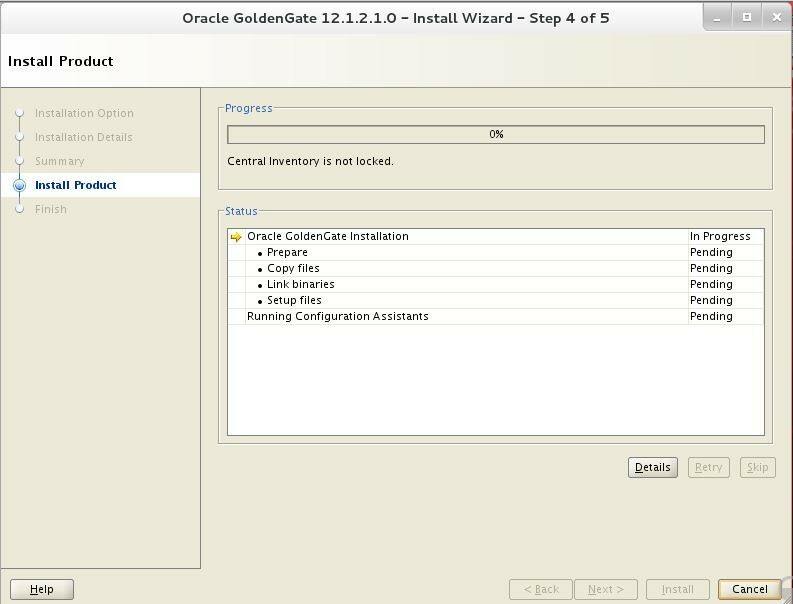 in goldengate 12c, oracle introduced universal installed(OUI) for installation, which makes it simpler.The installation need to be done on both source and target hosts, where gg process will be running. 1. Download the goldengate software for the appropriate os platform. 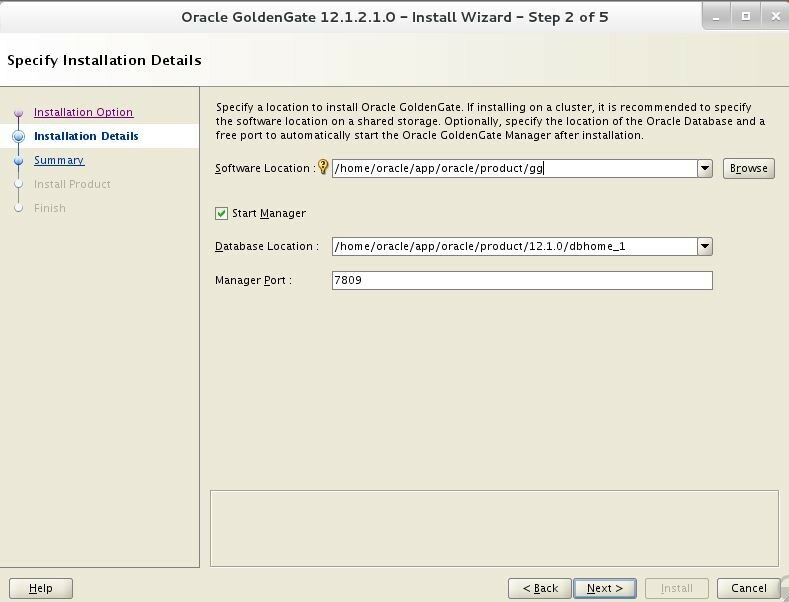 Download the goldengate 12c software from edelivery. You can select whether your database is 11g or 12c. Manager – If you select start manager and the specify the port, then once installation is done, manager process will be started automatically. Usually, insert and delete statement involves complete row change. But update can be done on a particular set of columns. So Redo logs don’t capture sufficient information for update statements, i.e Oracle logs only changed columns for update operation in the redo. Without sufficient info , goldengate can’t find which row to be updated. So supplemental logging enables in capturing additional information for update operations in redo logs. Below command will enable a minimum level of supplemental logging at the database level. Where ALLOWOUTPUTDIR is the path in the replicate side, where trail files will be copied. 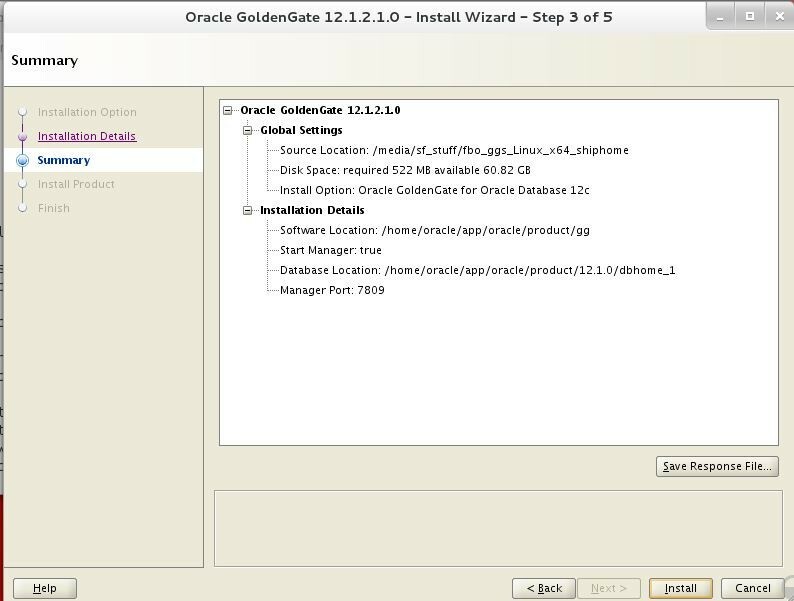 With this installation of goldengate with required basic configuration has been completed.